CRES is our flagship award-winning solution designed for India’s agriculture insurance market. 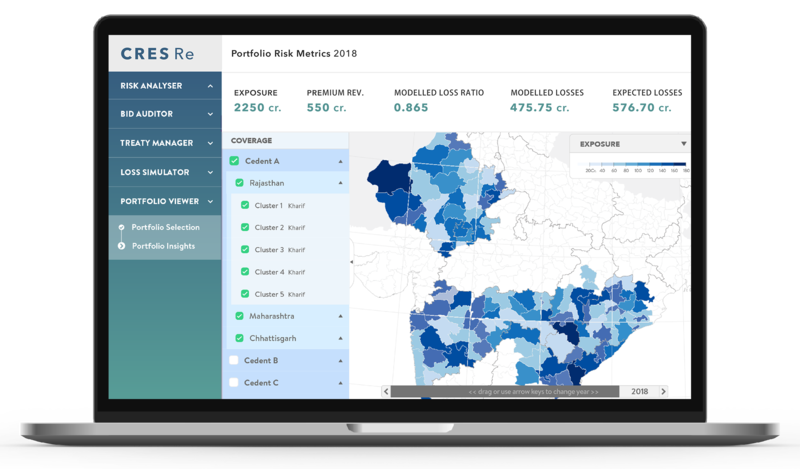 Equipped with a comprehensive suite of agriculture risk pricing methodologies, CRES helps underwriters complete robust and holistic risk analyses in a fraction of the time. In addition, CRES allows easy retrieval of key business information to enhance knowledge sharing and business compliance. With CRES, you can now grow your agriculture insurance portfolio for the masses with greater precision, standards and confidence. 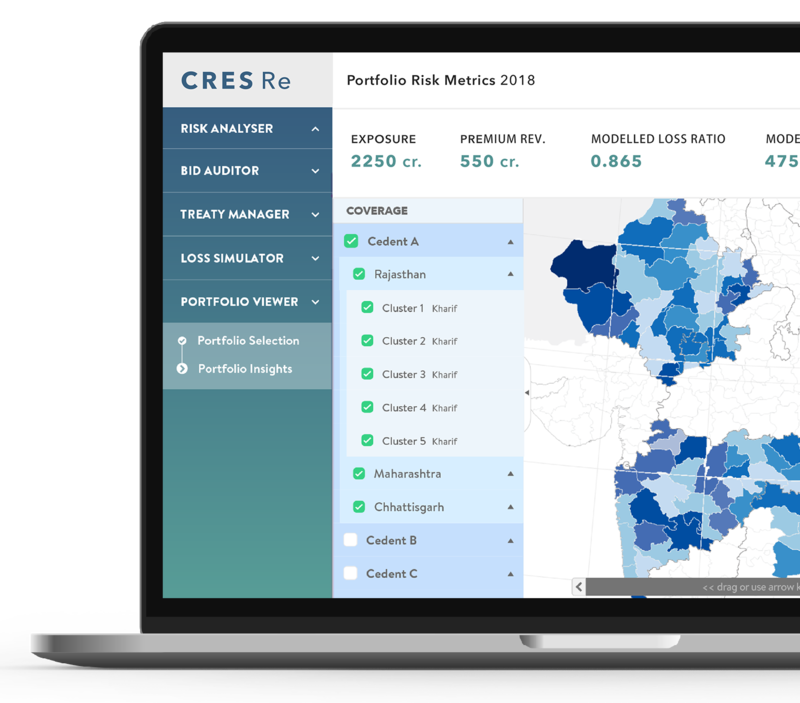 CRES Re is a holistic risk management platform designed for the agriculture reinsurance portfolio in India. Powered by advanced cloud-based analytics, CRES Re helps reinsurers run detailed technical and benchmarking analyses with unparalleled efficiency, and facilitates knowledge sharing and advisory activities with cedents. The platform also includes dynamic treaty management and visualisation tools for comprehensive views of the portfolio. 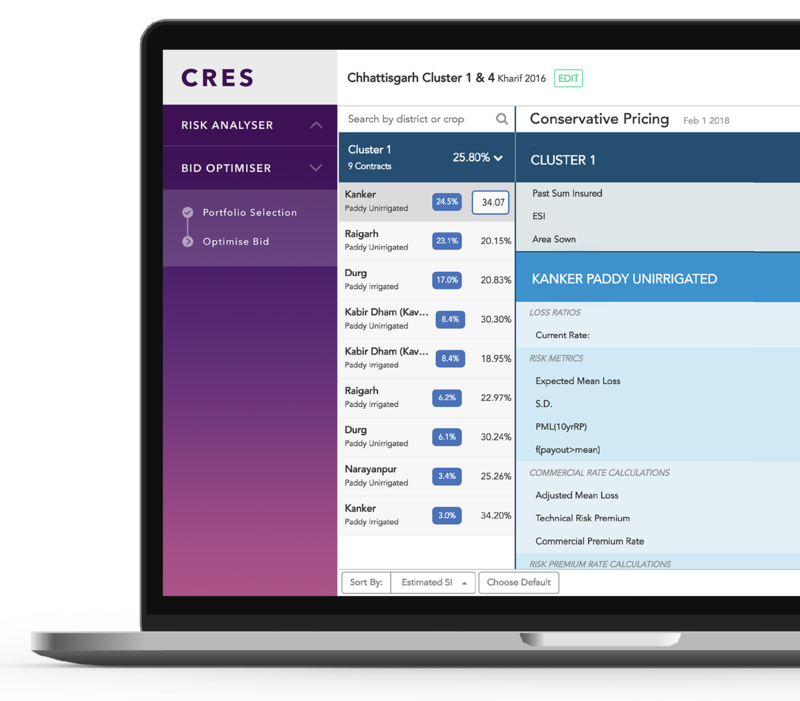 In CRES Re, you have the best-in-class portfolio management tools to achieve sustained profitability and growth in the market. 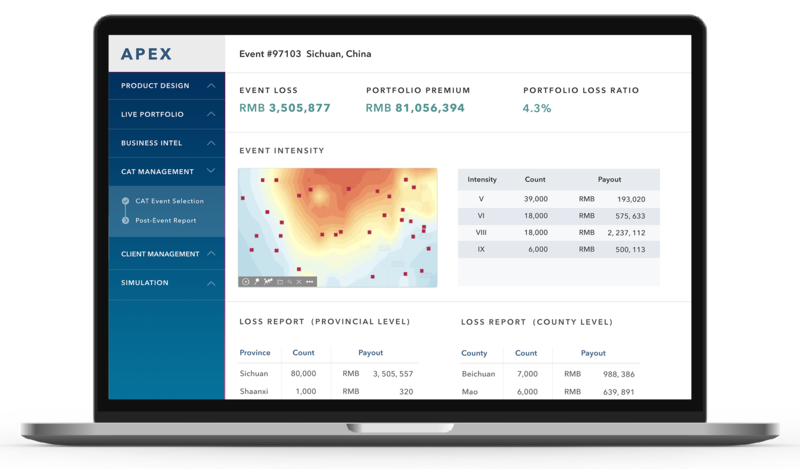 APEX is a cloud based analytics platform that supports the development and management of index-based natural catastrophe insurance for the masses. 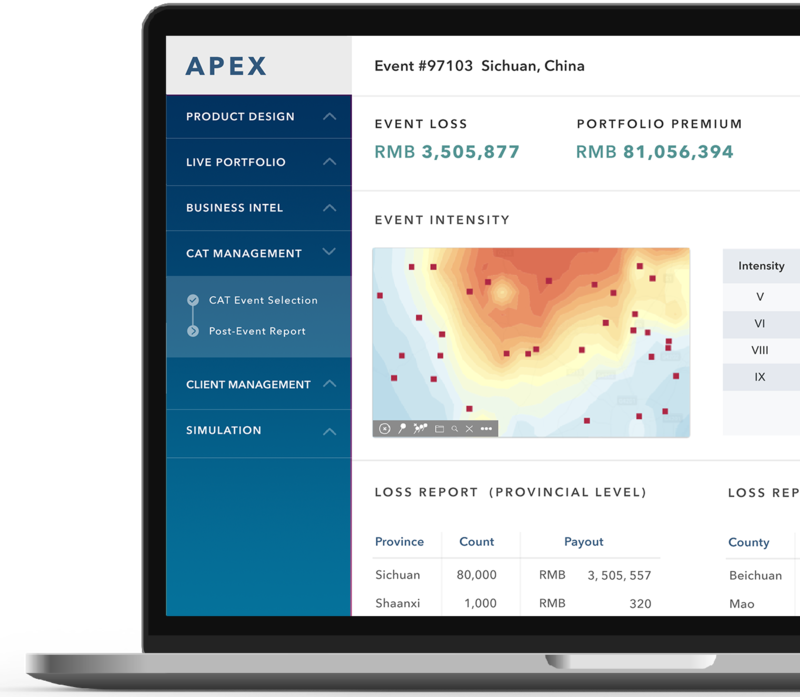 First designed for residential earthquake risk in China, APEX helps insurance companies design, price and manage index insurance products with catastrophe risk models, geo-analytics and dynamic accumulation controls. 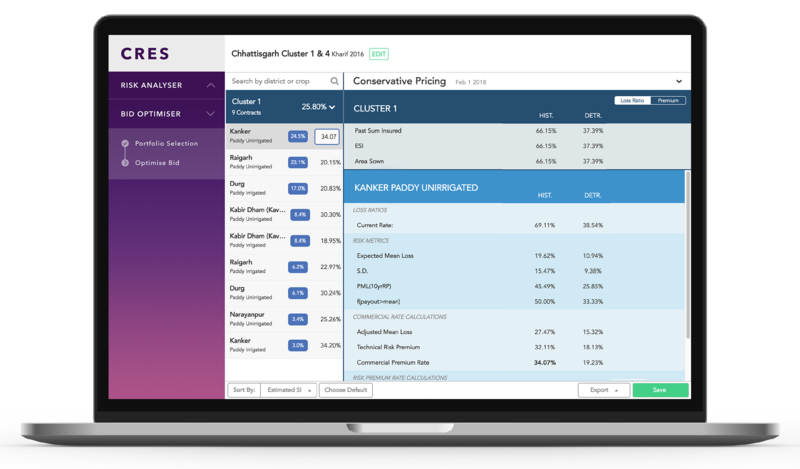 With APEX, you can now develop lean and effective index-based insurance portfolios that thrive in low-premium, high-volume emerging markets. 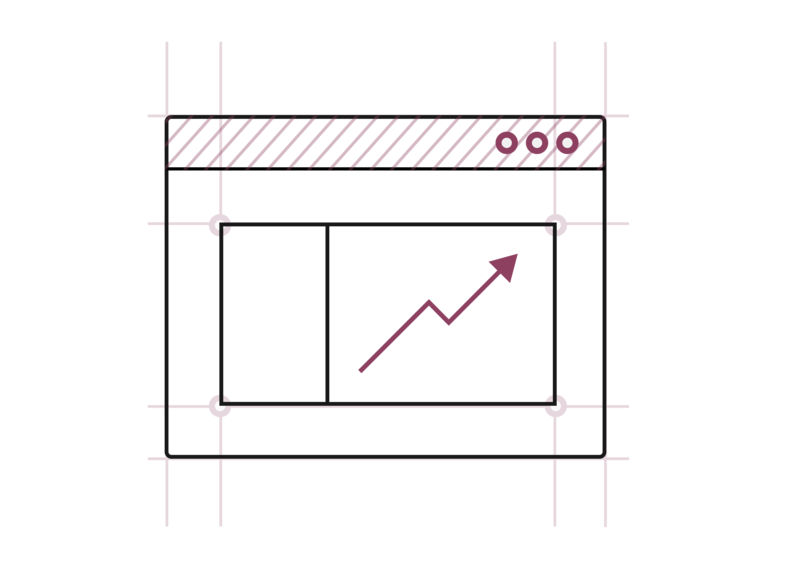 Pursuing greater growth in emerging markets and new lines of business? Our team at ARTS can work with you to develop new innovative solutions tailored to your business needs. Get in touch with us to explore more!